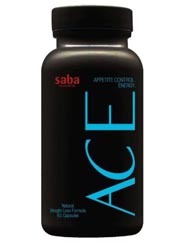 An MLM company named Saba are the folks responsible for the Ace diet pills. The company enjoys a nice level of global success, with nutritional supplements as their top products. For the purposes of this review, we are going to focus on the Ace pills and how they affect your body. 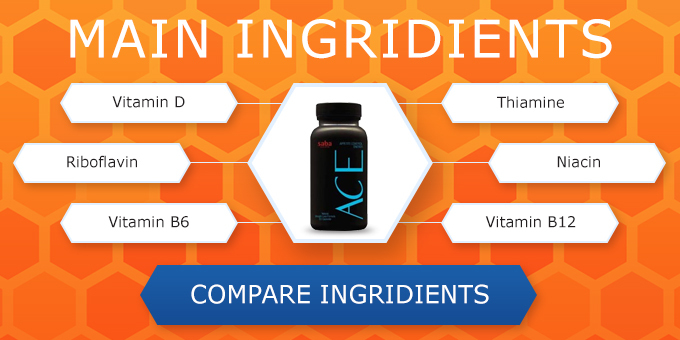 The main ingredients in Ace diet pills are as follows: Vitamin B6, Chromium, Spirulina, Green Tea Extract, Vandium, Cocoa Powder, Geranium Flower, and Caffeine. Caffeine is a popular ingredient in these types of products because it has the dual benefit of helping with hunger while providing a boost in energy. However, there are some negatives to using products with a huge amount of caffeine. Possible side effects include headaches, dizziness, heart palpitations, and insomnia. Those potential side effects are often enough to make people steer clear of dietary supplements, but when you add in the potential for dehydration and the shakes you can see why many people can be nervous. Ace pills has natural ingredients and gives the metabolism a boost. Ace Pills have some potential side effects from green tea extract and vanadium. These pills also have a lot of caffeine. Studies have shown that caffeine can help with weight loss and the prevention of weight gain, but there is zero evidence of it helping with significant weight loss. Vanadium, another common ingredient, is there to help with blood sugar levels, but it can instead deliver diarrhea, nausea, abdominal pain, and energy loss. More stomach issues can come from the green tea extract that is supposed to help with mental alertness. In extreme cases, there are people who have suffered from liver problems due to the green tea extract. It is always best to consult your doctor before starting this kind of supplement. The ingredients found in Ace Diet Pills are indeed all natural, but the fact that many are linked to caffeine means that side effects such as insomnia, stomach issues, and headaches are possible. We think it best that you steer clear of all caffeine-based supplements. "Ace pills work for me, but I do experience the occasional upset stomach." My friends urged me to buy this product because they said it worked for them. I've tried other diet pills and always felt as though my heart was about to burst, but that didn't happen here. That said, I don't feel as though my appetite has lessened any. There are times that I feel as though I have eaten less, but think that might just be because I want the pills to work. My sleepiness throughout the day has remained the same, yet I am still restless at night. Not sure if any of this has to do with the pills. Ace pills work for me, but I do experience the occasional upset stomach. Does anybody know why it happens? Dear Patricia, it might be a side effect from caffeine. You should consult with your doctor! This pill did not work as well as the last product I tried, so I likely will not use them again. The addition of the Green Coffee Bean Extract is playing havoc with my stomach. It wasn't until I checked the ingredients that I saw it in there. Had I know beforehand, I would not have made the purchase. It's too bad, because the old formula worked really well for me. I have been taking the product for a month and have yet to see any positive results. I'm wondering if I received the wrong item, as the pills were a slightly different color than what I had been told to expect. The Ace diet pills seemed to be working pretty well at first, although I always felt pretty unwell for the early part of the morning. By the second week, I was experiencing negative side effects all day and simply had to give up. I was already on a diet when I decided to add the pill into the mix. I saw no positive effects from them and ended up jut feeling shaky and restless all day.